Room 4 worked very hard last week practising for our Winter Concert. We learnt some new songs, revised our new sounds and used our new Irish phrases to help us go shopping. 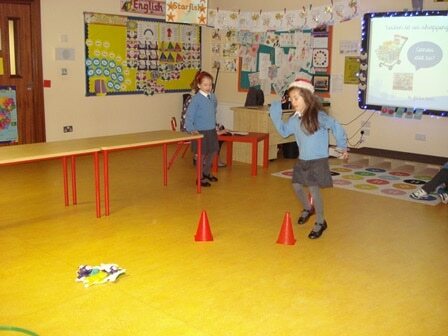 Everyone had a job to do, some children had lines, some children showed us the actions to an Irish rhyme and some children showed everyone what we do in P.E. We hope that our audience enjoyed the concert. We had great fun! Please click here to see some more photos. I hope that everyone enjoys the break and look forward to welcoming everyone back in January.